1.Is the adapter plugged into the car? An Serial Interface that is not plugged into the car will always be “Not Found”. It gets power from the car! 2.Is the car’s ignition switch in the ON position? 3.Is it plugged into the correct serial port? Some PC’s have the ports mis-labeled. 4.Are the serial ports on your PC properly configured? 5.Disable Palm HotSync or Microsoft ActiveSync software! 6.If you have a 1997 or newer car with an aftermarket radio or if you have used your ISO-COM Interface on a car with an aftermarket radio, read this page. If you are using a power supply for a laptop, it should be one specifically designed for that purpose, NOT a “universal” adapter. (1)Start>Run>MSINFO32.EXE to bring up the System Information utility. (2)Go to Hardware Resources>IRQs This should show a list of all devices by their IRQ, so you can see if there are any repeated or shared IRQs. If all else fails, feel free to call or email us, making sure to provide the brand and model of vehicle, brand and model of PC, and version of VAG COM Cables. 1 Will VAG-COM work with my car? VAG-COM will work with most Volkswagen and Audi models sold World-Wide 1994 through 2006. It will work with some cars all the way back to model year 1990. It will also work with most late-model SEAT, and Skoda models sold in markets other than North America. 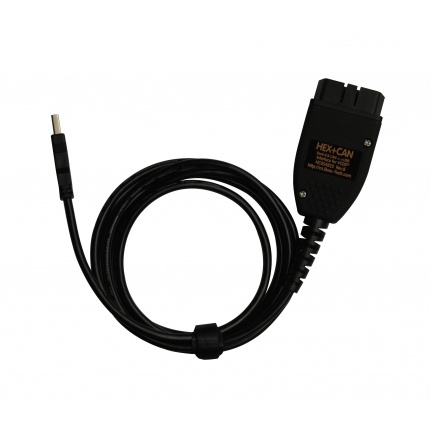 If your VW or Audi has a 16-pin “OBD-II style” Data Link Connector, VAG-COM will definitely work. If your car has the old “2×2″ Data Link Connection, check if there is a wire going to each pin, as shown in the picture. If there are four wires, VAG-COM should work. If there are only three, it won’t. Please see these Application Charts where you can select your model and see which modules can communicate with VAG-COM. Also see the Issues page for a few things that may not work as expected. If in doubt, e-mail us. 2 Will VAG-COM work even if my car is “chipped”? Yes. If it doesn’t work in a “chipped” car, the chip-vendor did something seriously wrong! Chips from reputable vendors are fully VAG-1551 (and VAG-COM) compliant. 3 What functions are included in the current release? VAG-COM is a software program that turns your PC into sophisticated VW/Audi diagnostic tool, which performs the functions of a factory VAG-1551 or VAG-1552 scan tool and more. Please see the Function Chart for the current feature set. 4 What are the computer requirements? A PC running Windows: We recommend at least a Pentium-100 (or AMD equivalent) with 16MB of RAM and Windows 95 or newer. VAGCOM 18.2 may work on some lesser PC’s, but anything less than the above recommendation is unsupported. Windows 95, 98, ME, NT4, 2000, and XP are all fine. Available disk-space should be a non-issue; VAG-COM requires less than 10 MB. If you are using a power supply for a laptop, it should be one specifically designed for that purpose, NOT a “universal” adapter.